A happy new year my friends! I wish all of you will stay in good health, work hard and have great success in 2019. 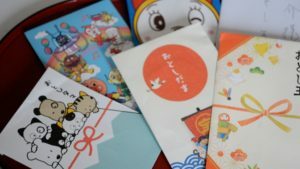 Today, I want to share with you, Japanese new year. As I mentioned in the last video, after eating New Year’s Eve soba noodles, we go to the shrine in our neighbor. In our family case, we don’t sit up late, because we are so tired of daily activities, so we go to the shrine in the next morning. Why we go to the god of our neighbor? We believe the regional god is guarding us all the time. We go there to pray for continuous support. Our guardian god has more than 15 hundred years of history which is one of the most extended accounts in Japan. The arrangement of bamboo settled in front of the gate is only for the new year period. 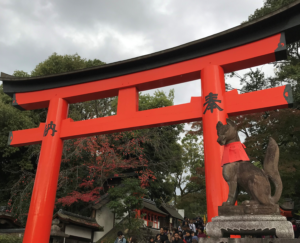 “Torii” gate is not always orangy-red like Fushimi Inari Shrine in Kyoto. It’s made of stone. There are some vendors in the front yard. 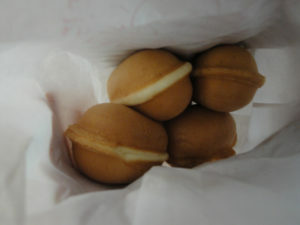 Small egg cookies called “Baby Castella” are always kid’s favorite. 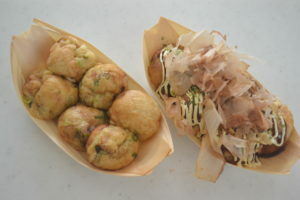 “Takoyaki” is maybe the most famous street food in the Kansai area. 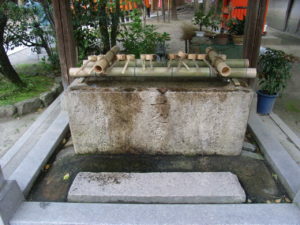 Before we go up to the main building, we have to purify our hand and mouth with the sacred water. Take one scoop, wash both sides, then keep water onto your palm and rinse your mouth with the water. Lastly, run the water to the handle and leave the scoop. The shrine is up on the hill, let’s go crime up the stairs. 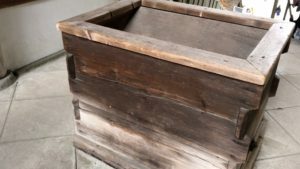 In the middle of the stairs, there is a chest for the offertory. Throw some coin in it and keep on going upstairs. 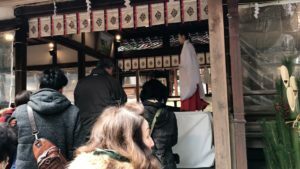 There you can see the shrine maiden at the ceremony. In front of the main building, we pray for the good luck through out the year. Here is how we do. Step aside for the next person. 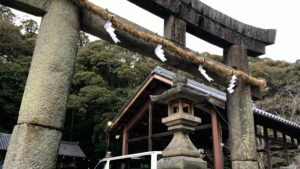 This is the manner you should do at any shrine all over Japan. 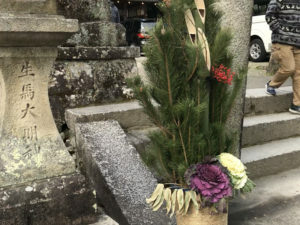 In the shrine, you can buy lucky charms comes in a pretty little pouch, or a piece of wood to make a wish on the sacred tree. The symbol tree was struck by lightning a few years ago but still alive. It’s a miracle! 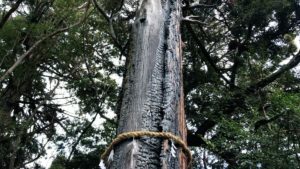 People hung the piece of wood with their wishes around the sacred tree. There is also a receiving desk to return the lucky charms of last year. It’s good to update the good luck. Me? I have not done it for more than a decade! 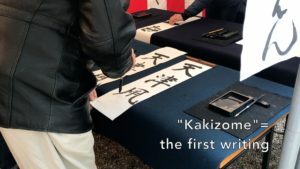 Maybe sometime I should do Japanese brush writing video. 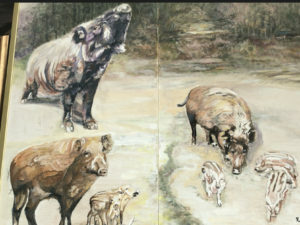 It’s the year of “boar” in the Japanese zodiac sign. “Boar” represents “challenge” and “change”. That’s it for the shrine part. So many people go to the shrine on the first three days. 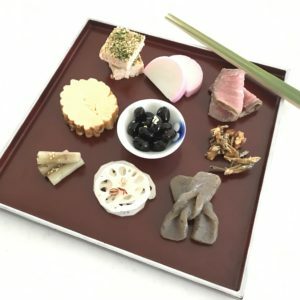 When we got home from “Hatsu Mode,” we enjoy “Osechi Ryori” with sake if you like alcohol. I appreciate it with a cup of green tea. 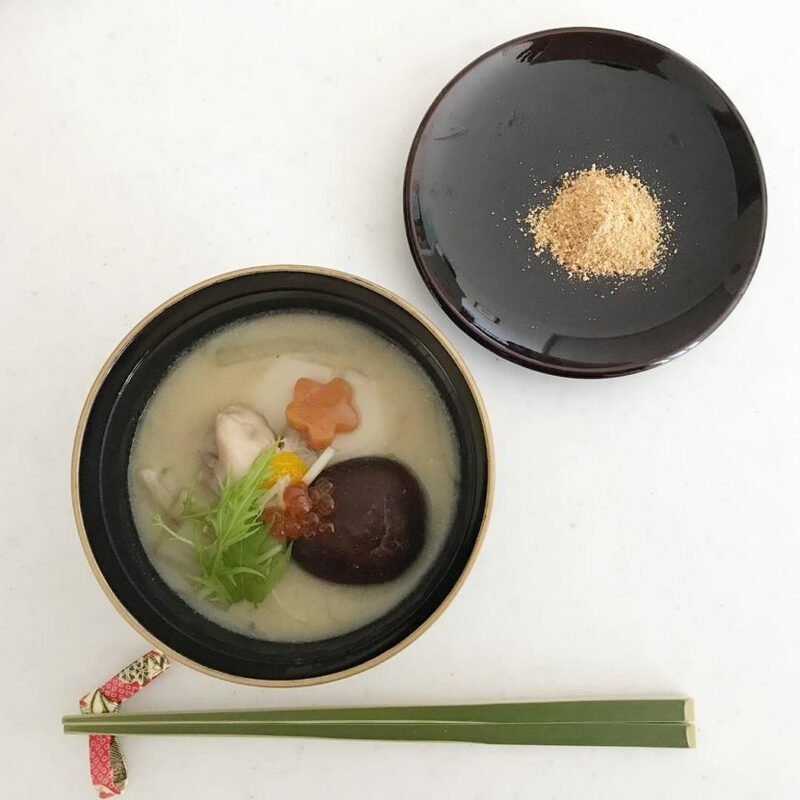 “Osechi Ryori” is designed to keep well, so it’s the holidays for Japanese mom. 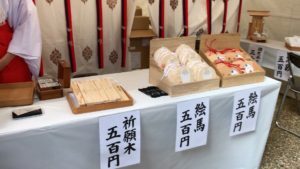 I prepare Osechi from scratch, but more and more people buy Osechi at any grocery store or department store. I like to take our tradition over to the next generation so I will keep making these as long as I can. And then, we visit our family of my husband and mine. All the family gathers together on New year just like Thanksgiving holidays in America. We give “Otoshidama” for kids as new year allowance. 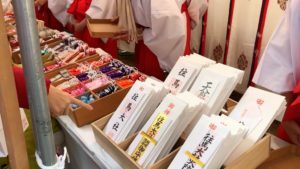 The amount depends on the ages, ¥1000 for toddlers, ¥5000 for young teenagers, ¥10000 for high school to university students. They buy what they want, or save money for the future. It’s all about our culture, you have to give it if you like it or not! Alright, that’s it for the Japanese new year. After new years holiday, we set our goals and start working hard as always. Let’s start another great year with me! I will keep making videos no matter what happens! !